With just six weeks to go before the end of the Tilton Winter Farmers’ Market’s stellar first season, vendors just keep on amazing us with their creativity and bounty. This week, veggie-loving shoppers will find more greens than ever. Surowiec Farm of Sanbornton will bring a generous supply of their very popular cooking greens (great raw, too). The mix is chock full of succculent asian greens, baby chard, tender young red kale, and tasty spinach. They’ll also offer bags of spicy arugula and crunchy broccoli raab! Surowiec Farm’s delicious and colorful, crisp and uber-fresh mescun mix will satisfy your salad dreams for the week ahead. Once again, they’ll bring bunched kale, but get to the market early if that’s on your list. Craquelins Artisinal Flatbread Crisps will be back again this week, offering delicious, handmade crackers to pair beautifully with wine, cheese, salads, soups, hummus, spreads and dips. The Tilton area is abuzz with excitement about the Tilton Winter Farmers’ Market. Check out this article in the Citizen, for some great comments from shoppers, vendors and organizers. Averaging 1500 shoppers each Saturday, the market has people talking about what might be next for farm-fresh food venues in the area. 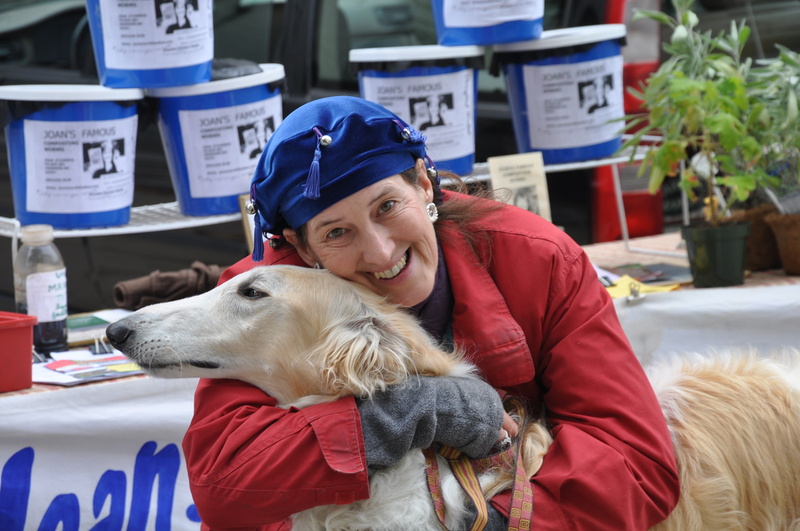 We’re pleased to welcome Valicenti Organico to the Tilton Winter Farmers’ Market this week. Get ready for an enticing variety of fresh pasta and more. We’re so happy about this great addition to the market. Valicenti Organico, based in Hollis, New Hampshire, was founded in 2008 by Chef David Valicenti and Pastry Chef Michelle Splaine. Their recipes vary seasonally. 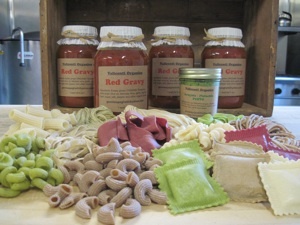 Check out their famous Red Gravy sauce at the market, and get that pasta pot ready! Vendors: If you’d like to be profiled on this site, please e-mail Eleanor Baron at eleanor.baron@gmail.com. We’re happy to spread the word about your products, too. Shoppers: If you’d like to hear more about a specific vendor at the market, we’d love to hear from you, too.